GLBIMR’s “ Mythology to Management” (M2M) club successfully organized an activity named, "Karmanya-Planning to Execution” on September 27, 2017. Students participated with great enthusiasm and showcased remarkable learning from Indian mythology and its co-relation to current business challenges. Participants analyzed scriptures and great epics like the Ramayana and Mahabharata and explained various management lessons, with their relevance in today’s complex business environment through skit, videos and presentations. Mr. Atul Kumar Arora, led the whole activity, where Dr. Anand Rai and Dr Harsh Pratap , evaluated the performances on the basis of objective and theme, in correlation with mythological relevance, content quality and creativity. The winners of activity were: Prateek Gupta, Kishan, Shivam and Ranu , while the runners-up award was shared by Harsh Jain, Neelam, Deeksha, Mohini, Ishan, Jyoti, Shalaka, Rahul, Saurabh Chauhan, Gautam and Pooja Sachan. 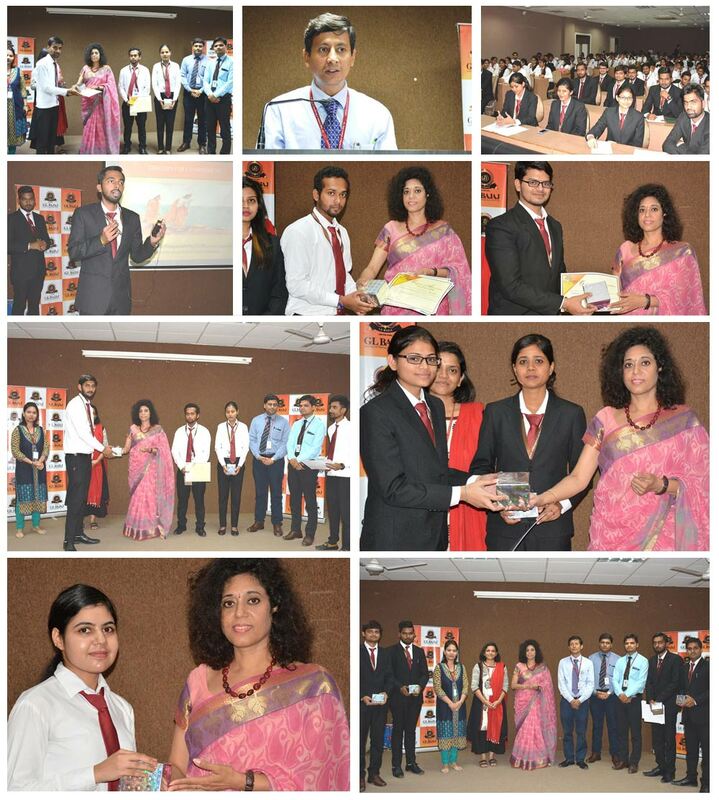 Dr. Urvashi Makkar, Director General, GLBIMR, conferred certificates to the winners and appreciated this initiative. She motivated the students and emphasized, that there is a lot to be learnt from our rich culture and scriptures. These are the best available resource to learn management & strategical lessons. She shared her valuable life experiences and encouraged the students to keep participating in such club activities for positive outlook and broad vision.